Inshore- Weather has been a little wild yet again this week, but we have had some weather windows allowing some good fishing opportunities. The sheepshead bite has been great this week with plenty being caught around Johns Pass Bridge and the jetties in the pass. We are seeing lots of silver trout and whiting being caught around the Jetties of Johns Pass and from the beaches as well especially on live shrimp weighted to the bottom with about a 2ot hook. The black drum are still around we saw a few big ones cruising the seawalls around our docks at Hubbard’s Marina. Plus, the redfish bite has been good in the back bay waters around the oyster bars especially with the full moon tides the night bite has been hot. 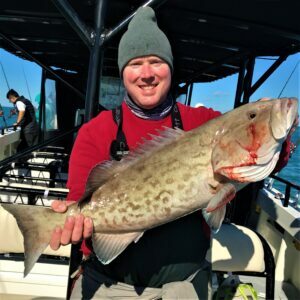 Near shore- This is the last weekend for gag grouper fishing action before they close at 12:01am on January first 2019 making December 31st the last day to land keeper gags until June first 2019. The weather for Saturday, Sunday and Monday looks perfect for hunting gag grouper near shore or offshore! Also, the gag bite has been great when the weather has allowed us to get out and it’s been clear enough for the gags to feed well. Behind the fronts we had a few slow days due to the water being so stirred up, however, for the most part the gag action has been wild! 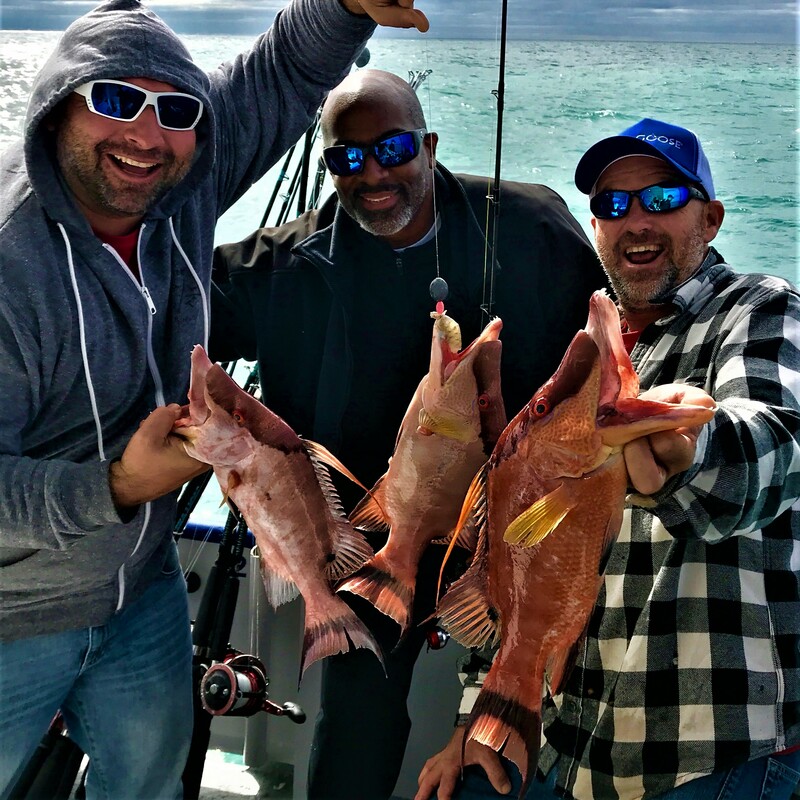 Also, the hogfish bite has been steady along with the gag grouper action too and they will remain open into the New Year. The mangrove snapper action and lane snapper have both been great too and they will be open into the New Year as well. 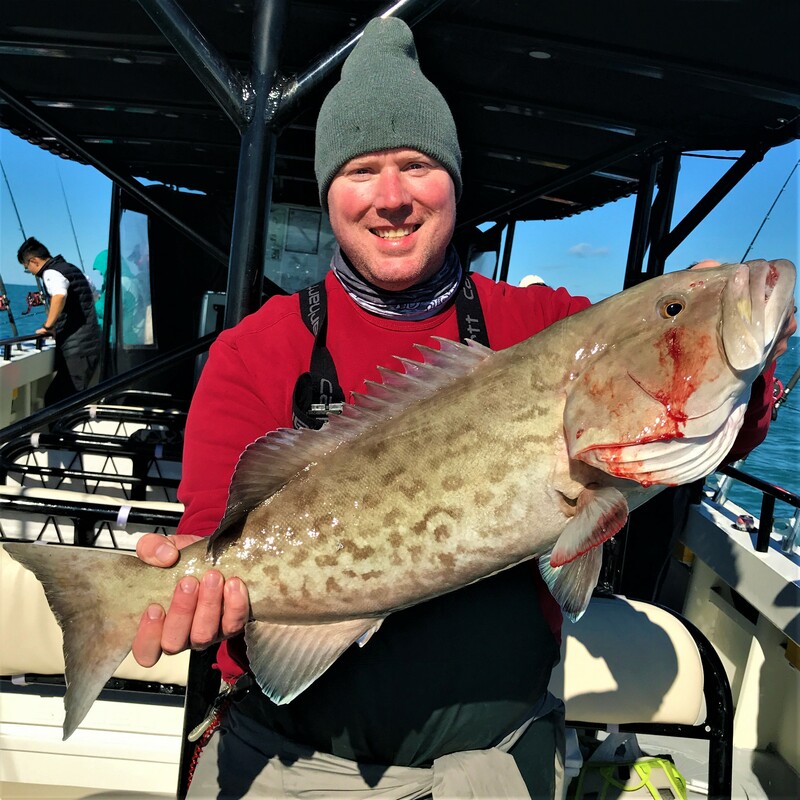 Also, red grouper will remain open into January so after the first when gags close the focus will shift to hogfish, red grouper, mangrove snapper and anything else that is feeding well! Offshore – Offshore fishing has been tough lately with the weather, but we have gotten a few long range trips out there for some deep water fishing. The gag grouper fishing was a little tough at the beginning of this week behind that super strong front last weekend the water was stirred up even out past 100ft of water and that kind of shut down the gag grouper action but we did get a few nice gags and the mangrove snapper really turned on helping filling the gaps. The full moon typically makes the day bite a little tough but the stirred up murky waters must have made the snapper wait till the daytime with extra sun penetration to feed well. As the waters cleared up, the gag grouper action really picked up well for us offshore. 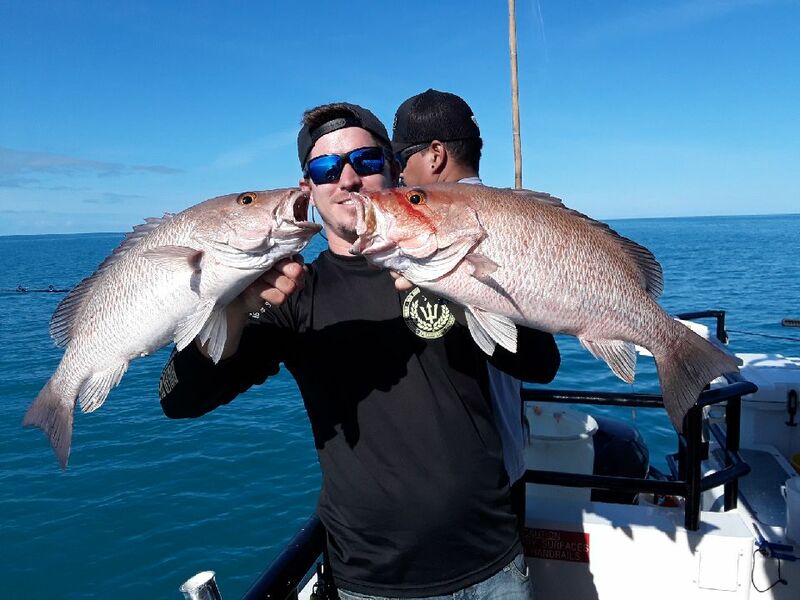 January 4th, 2019 is our first 39 hour fishing trip of the new year and it has a super light load right now with only 24 people going out there to load up on the hungry mangrove snapper, yellowtail snapper, red grouper, scamp grouper, tuna and many other species too! The dolphins have been active lately around Hubbard’s Marina feeding on large schools of mullet flushing out of the pass and working the seawalls for the plentiful sheepshead this time of year. Also, you can get lucky and spot the adult dolphins playing ‘catch’ with the fish throwing them to the juvenile dolphins to teach them how to better utilize their sonar for hunting prey. This is a great time of year to ride the Egmont key ferry from Fort De Soto’s bay pier out to the island! The weather is perfect for exploring the interior of the island and checking out the fort on the island. Also, the gopher tortoise at the island are easy to find this time of year due to the cooler weather they are often spot sunning themselves trying to stay warm during the cooler mornings. This time of year our shell key ferry from Fort De Soto’s boat ramp is not running but come March 2019 the shell key ferry will start operating once again!